The Holland Area Historical Society will host a program titled “Railroads of Ottawa County” on Tuesday, April 10 at 7:30 p.m. The presentation will be held in the Maas Auditorium, Maas Conference Center, Hope College, Holland, Michigan. Maas Auditorium is located at 264 Columbia Avenue on the Hope College campus. The public is invited, and admission is free. 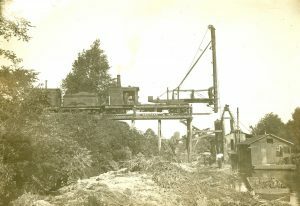 Ottawa County was a major railroad center for more than 80 years. Local historian Paul Trap will present a summary of the 70 plus railroad companies associated with Ottawa County, like the Detroit & Milwaukee and the Pere Marquette as well as two local interurban lines.